This crook has your keys! Finders Keypers are statues of your favorite superheroes, with a built-in key chain holder for your keys! This action-packed statue presents the Clown Princess of Crime on a diorama base that also features her logo as a removable key chain! 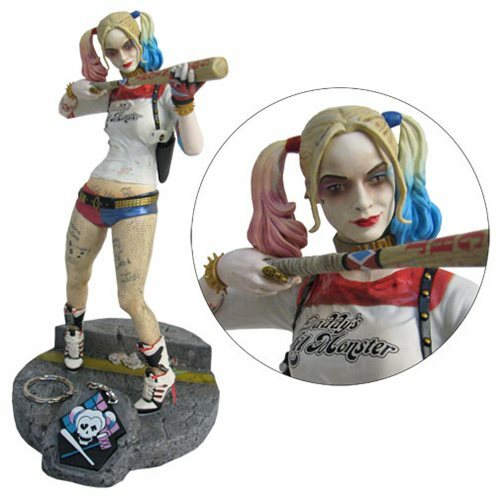 The Suicide Squad Harley Quinn Finders Keypers Statue measures approximately 10-inches tall. Ages. Ages 13 and up.